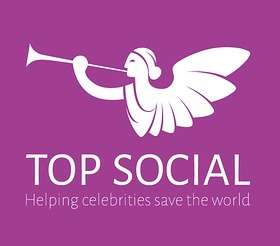 TopSocial connects charities and influential personalities together to work and create a positive and lasting change for the benefit of the world. The company works with a select group of global A-list celebrities, giving guidance and advice on a wide range of issues related to the non-profit sector: evaluating fundraising proposals and choosing the best projects for them; how best to engage with favourite causes; spotting potential reputational risks; and providing intelligence about the latest trends in the non-profit sector. TopSocial also works with global non-profits or charities, a sector where you have to constantly think on your feet, monitor the fast moving news cycle and quickly develop responses to the ever-evolving media landscape.